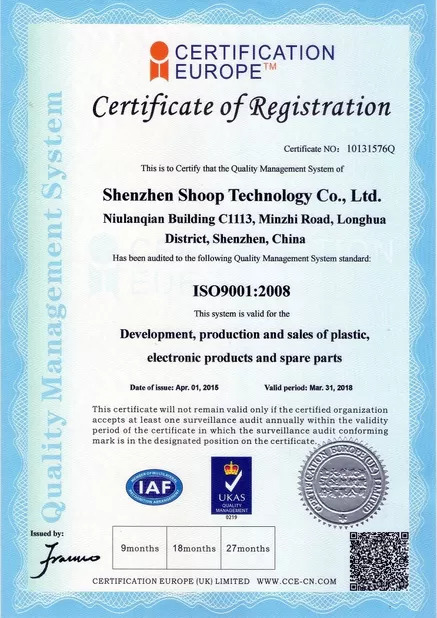 Shenzhen Shoop Technology Co., Ltd. was established in 2005, as a professional manufacturer of security and protection electronics, especially the development of Body Worn Police Cameras. We would provide video cameras, body cameras, police cameras, flashlight cameras throughout the world with many competitive advantages. With outstanding sales, growing R&D and experienced worker teams, ISHOOP also do well to satisfy with customer's potential needs like ODM/OEM service. Constantly busy developing police and military cameras for law enforcement, the security, protection and fire service. We make communities safer with innovative public safety technologies that protect life and truth. With our flexible product range and short leading times, we can rapidly respond to varying customer demands of Police Body Cameras. 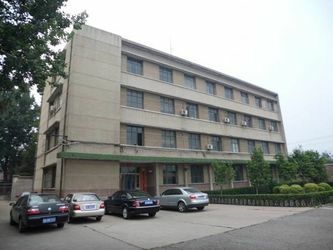 ISHOOP's innovative team is quickly developing a new standard in the field of Police Camera, and will bring new ideas and vitality to this industry. We will help you clarify what you want your Police Body Camera to do. We will make the best quality, cost effective, Police Body Camera for you. We will provide ongoing support after sales. Wish to have a win-win business with you! security and protection electronics, especially the development of Body Worn Police Cameras. Still now, we have a large number of partners and end customers in European Countries, Southeast Asia and Central Asia, etc. and perfect service system for the majority of users. In the past 12 years of operation, the accumulated professional technology, excellent reputation. 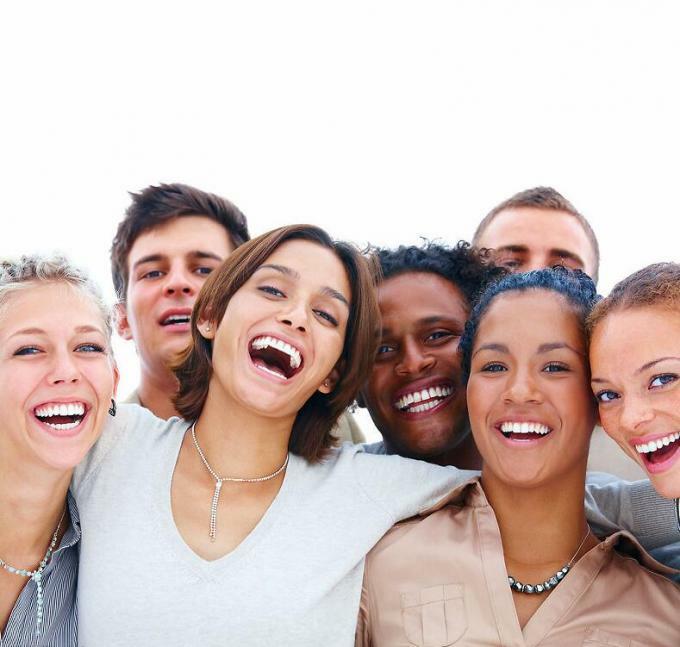 We are confident that the quality of life, above all professional. 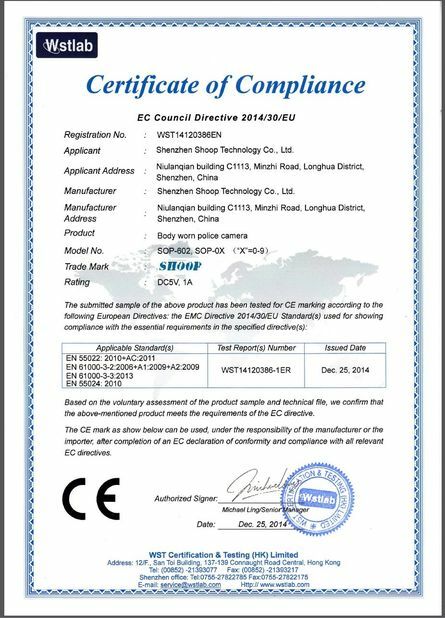 Shenzhen Shoop Technology Co., Ltd. is one of the professional manufacturer which specialized in produce and design Police Body Cameras and Docking Station. 1. 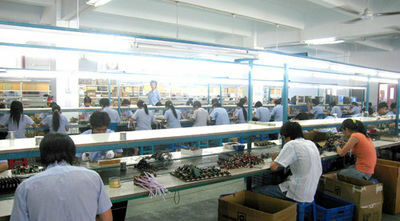 We are direct manufacturer factory, have ability of mass production. 2. 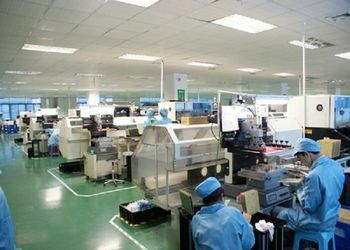 With R&D department, ensure our own technological and innovative products. 3. We have our own brand ISHOOP and do OEM & ODM for distributors. 4. We have many professional engineers to design new case of camera for u, and they can give customers a great technical support. 5. CE, EC, IP67, IK09, etc. 6. Good after-sale service and 1 year's warranty for all goods. Samples are shipped by DHL, UPS, FEDEX, EMS, TNT. We will choose the fast & reliable way for delivery. Save on shipping and safer on delivery when you purchase more than one item. Creating First-Class Brand For You! pragmatic, dedicated to customer service is our philosophy. How far a person can go in his life depends on his companion!